THIS PROPERTY IS 100 PCT NONSMOKING The Lighthouse Award winning Hampton Inn - Suites Bluffton-Sun City hotel is located at the gateway to Hilton Head Island in South Carolina. Just 6 miles off of I-95 our hotel is adjacent to the Del Webb Sun City Community. The Hampton Inn - Suites Bluffton hotel offers high-speed internet access coffeemakers microwaves and refrigerators in every room. In addition we also feature our Hampton complimentary On the House hot breakfast served daily. Our hotel in Bluffton is located 21 miles north of historic Savannah 12 miles west of beautiful Hilton Head Island and 18 miles from beautiful Beaufort home to USMC*s Parris Island. In South Carolina our hotel is near some of the best golf courses in Bluffton and within a short drive to Hilton Head Island Beaufort and Savannah. 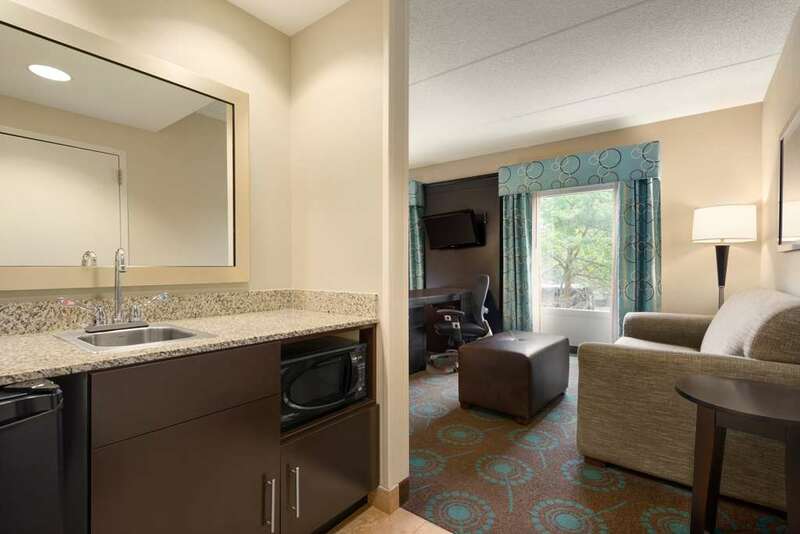 This Hampton Inn - Suites hotel is a perfect central location for you to visit whether for business or pleasure. We love having you here at the Hampton Inn - Suites Bluffton-Sun City hotel in South Carolina.